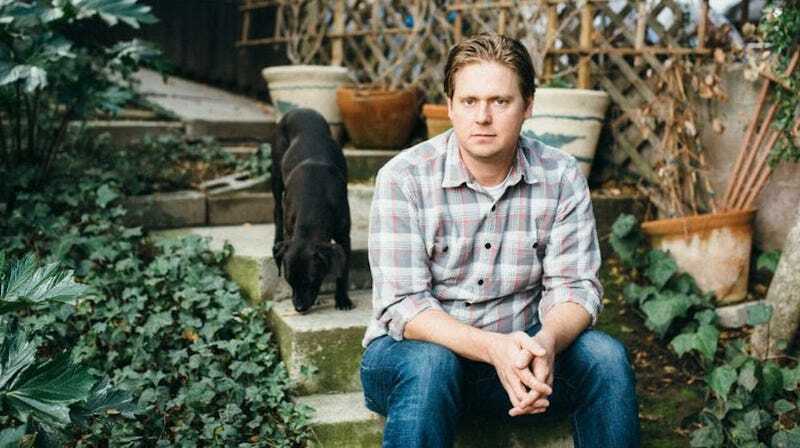 Tim Heidecker’s got plenty on his plate right now, including a supporting role in Jordan Peele’s Us and a tour with his On Cinema At The Cinema cohort Gregg Turkington. He’s still making time for music, though, following up on 2016's In Glendale and 2017's Too Dumb For Suicide, a collection of songs about our messy president, with Another Year In Hell: Collected Songs From 2018. Out today via Jagjaguwar, the EP is another reaction to a nation under Trump, its six songs of buoyant AM pop-rock serving as parodic portraits of the MAGA sect’s most abhorrent archetypes, from incels to 8chan’s QAnon loonies. “While Too Dumb For Suicide made us question when we should stop laughing at our current administration’s incompetence, this release reckons with the disasters that occur at the intersection of stupidity and cruelty,” reads a press release. It was another year in Hell. And while it didn’t generate the number of songs the year before did, I’m glad to have these songs I’ve released throughout the year in one handy package. And for the first time you can hear a new orchestration of “Tobin and the Judge” by Bobby Halverson. This song really only showed up on YouTube as a backstage live recording so I’m so glad there’s an official and quite beautiful version of it now. Also new to most everyone’s ears is: “Rake the Floor” which I wrote for Father John Misty’s Wildfire Relief Fundraiser. Please enjoy! Video satirist Vic Berger edited together a video for the EP’s lead single, “Ballad Of ICE Agent Ray,” framing the song’s lyrics as a Trump tweetstorm laden with misspellings. Watch it below and also have a look at the EP’s artwork.